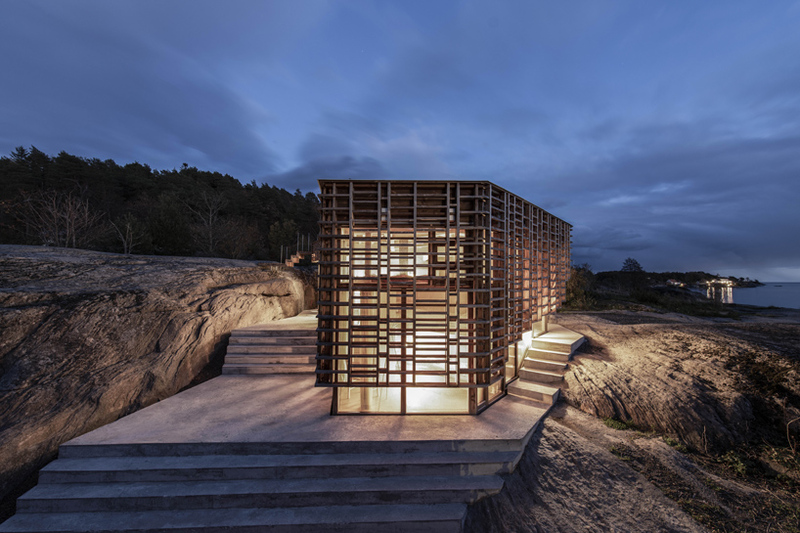 norwegian-based studio atelier oslo completes its ‘house on an island,’ situated along the southern coastline of norway’s skåtøy island. 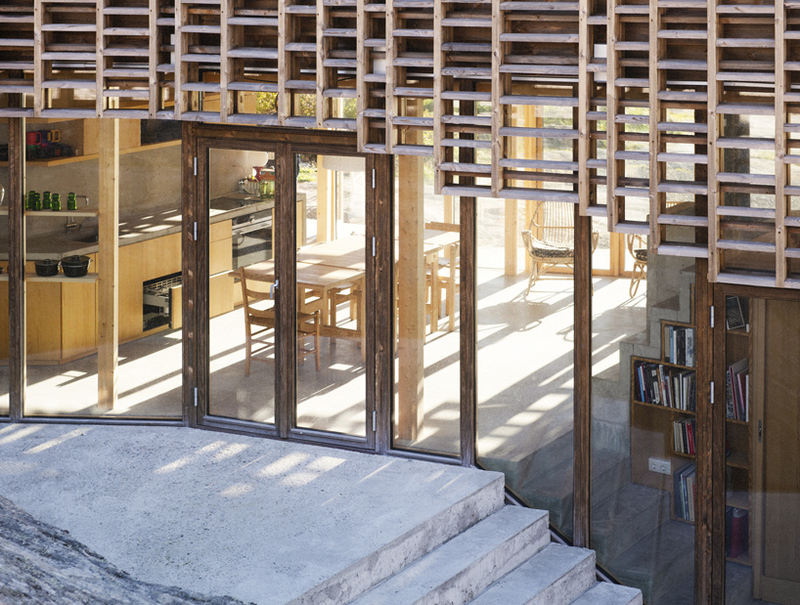 on a site is characterized by smooth and curved rocks that leading down toward the ocean, the house is built for two artists that needed a space for work and contemplation. 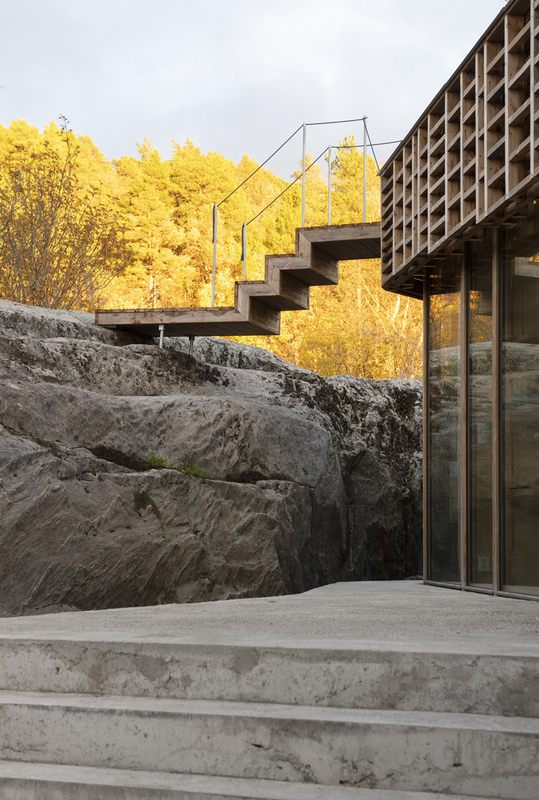 the space is carefully integrated with the rocky, sloping topography, while sectional shifts are determined by the site’s many different natural changes in elevation. 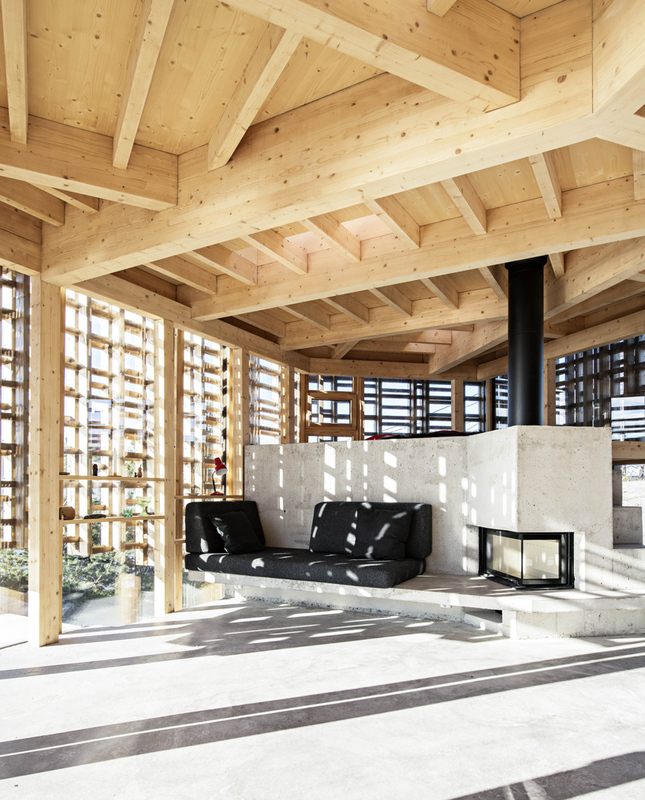 while the division between interior and exterior is softened by a boundary of concrete stairs and outdoor landings, the indoor spaces extend outward, inviting the different natural qualities of the site to become a part of the architecture. 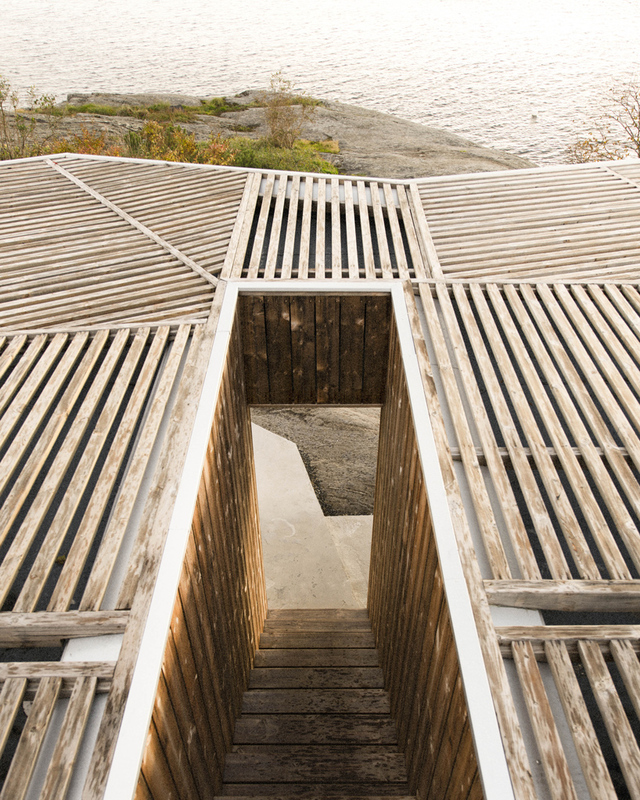 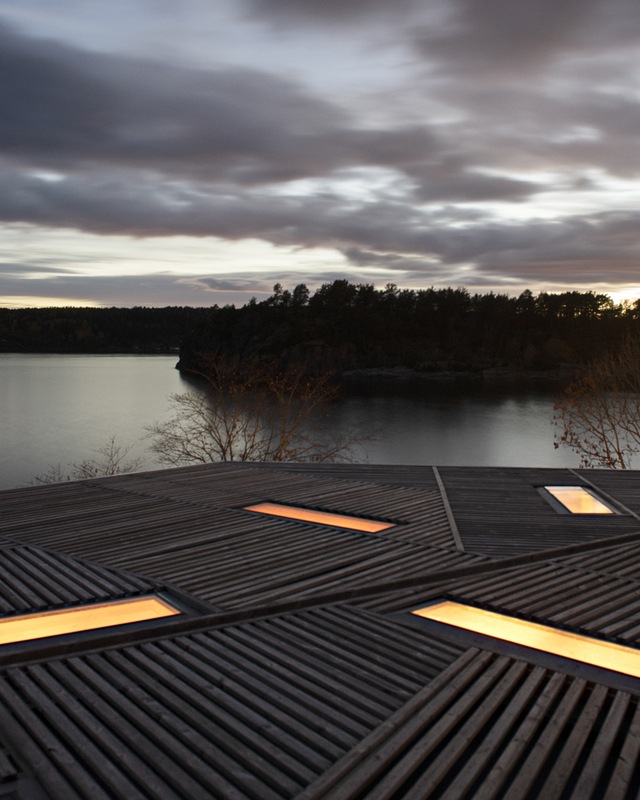 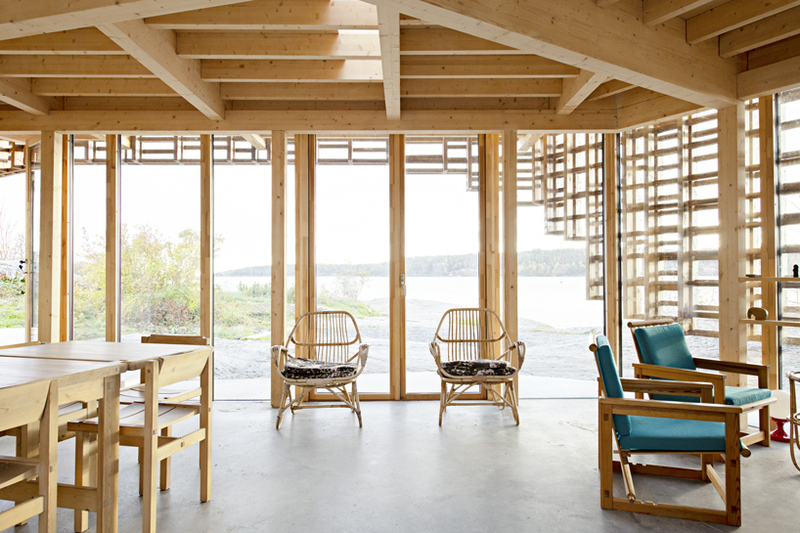 atelier oslo crafted its ‘house on an island’ as an extension of the unique coastal landscape. 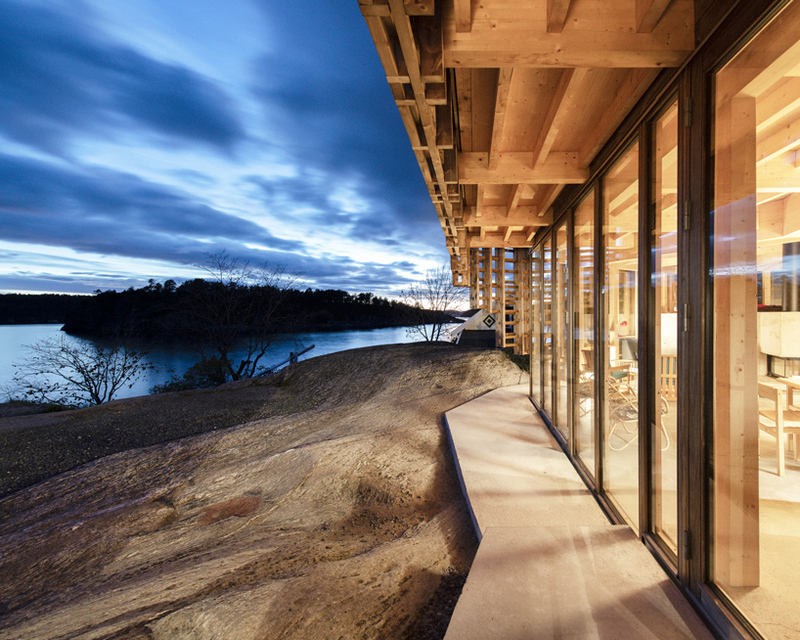 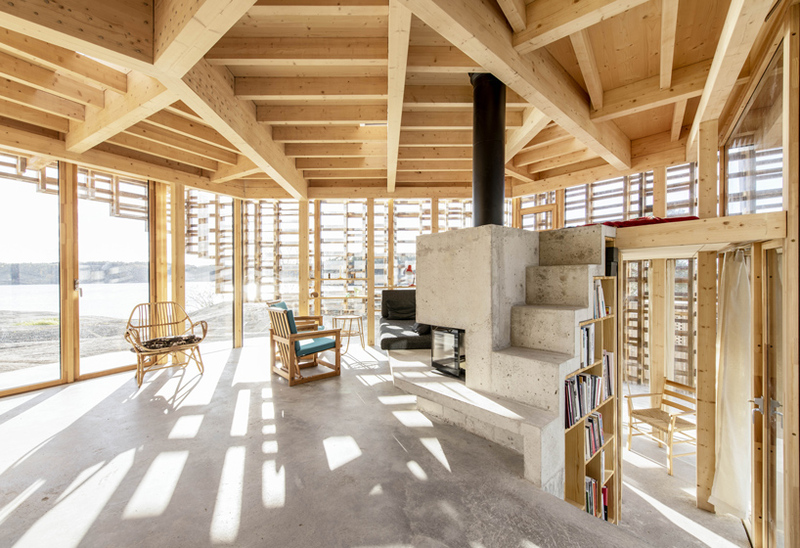 as the smooth concrete floors suggest a continuation of the rocky context into the interior, a light timber frame with full-height glazing allows and natural light and sweeping coastal views into the open plan interior. 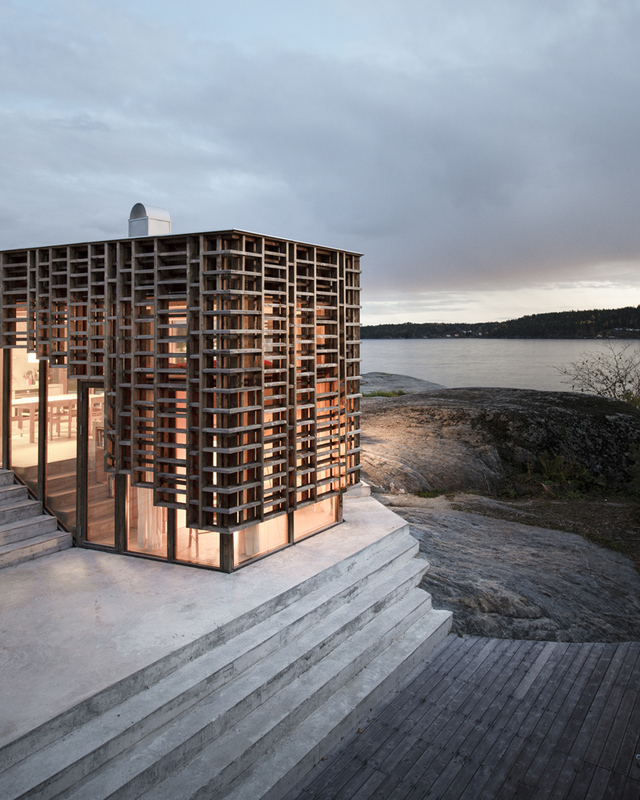 the house’s distinctive image is characterized by a secondary skin of delicate wooden latticework which adds a rich textural quality to the facade while introducing rhythmic fractal shadowing to the interiors. 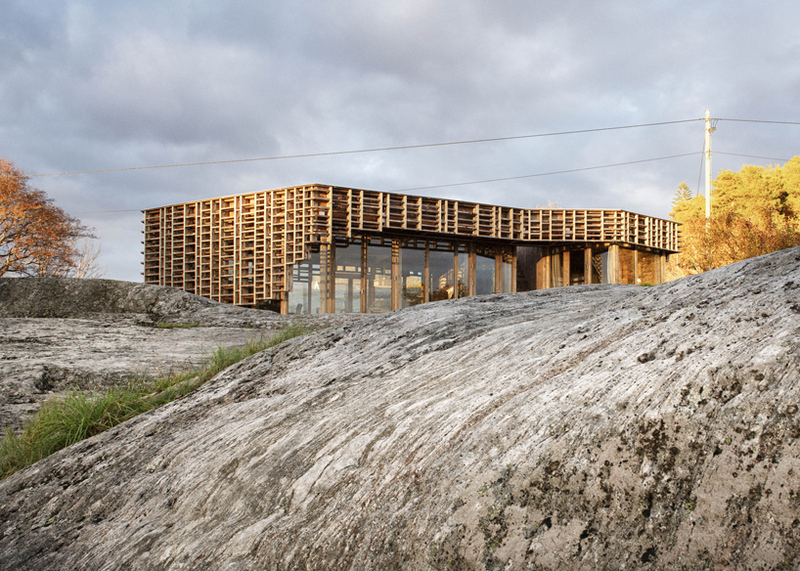 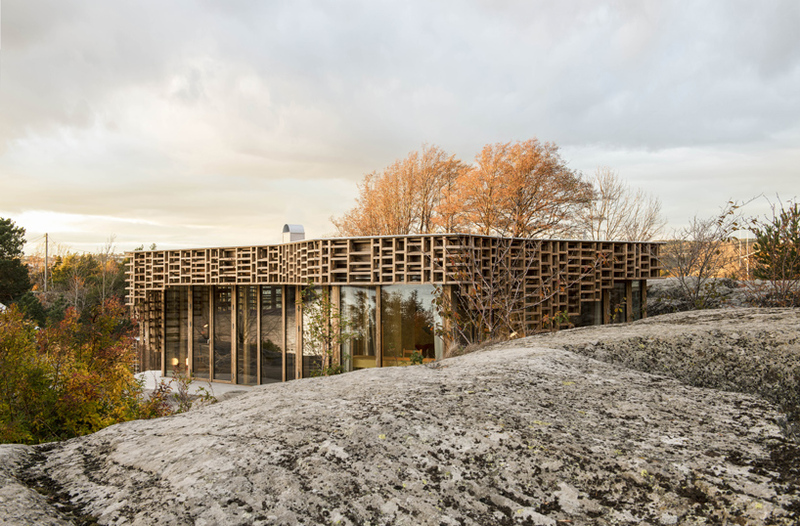 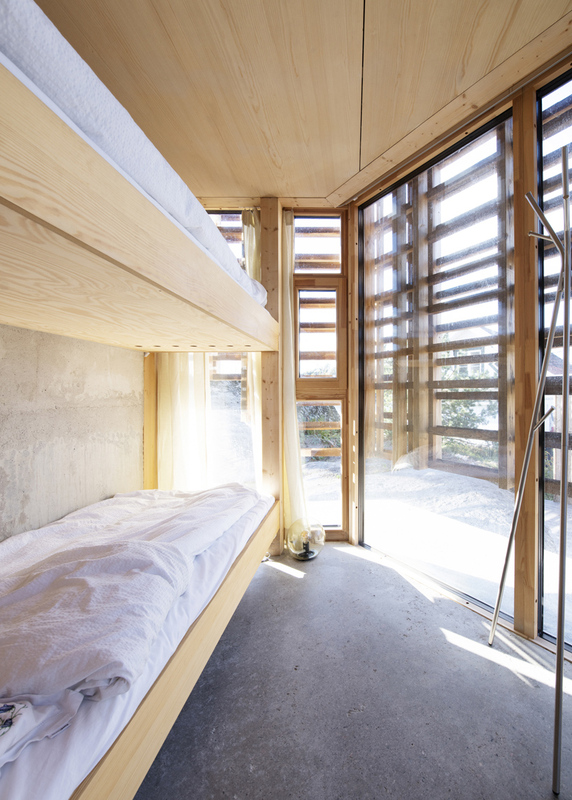 the skin is fabricated from kebony, a heat-treated wood that will turn grey over time.